Exciting adventure for ages 10 & up! Butch and Sundance ride again, and this time they are taking you with them! Ride along with Butch Cassidy and the Sundance Kid as they revisit their most famous robberies. This time, however, they have a little extra help. Twelve-year-old Will Long has joined them for the ride! Will Long loves the old west, especially the escapades of the famous outlaws, Butch Cassidy and the Sundance Kid. For a twelve-year-old boy who has recently lost his father and is now dealing with the new man in his mother’s life, his interest in these long-ago outlaws is a much needed escape from reality. When Will and his mother leave their home in Fargo, North Dakota on an Amtrak train trip to visit his great-grandmother in Spokane, Washington, he suddenly finds himself on an even greater adventure than a family reunion. Jolted awake in the middle of the night, he finds himself on an old-fashioned train that is being robbed by none other than Butch Cassidy and the Sundance Kid. After being recruited by Butch to help out with the robbery, Will takes off with them believing he is on the adventure of a lifetime. But when a bank robbery goes sour, Will realizes that the outlaw life isn’t as exciting and glamorous as he’d thought. The story takes Will on adventures around the United States, from the Tipton, Wyoming train robbery to the Winnemucca, Nevada bank robbery, down to Fort Worth, Texas where the gang members wintered, and all the way up to New York City where they plan to leave for South America to go straight. Will meets the soft-spoken, lovely schoolmarm, Miss Etta Place, who is also Sundance’s wife, along with other members of the famed “Hole-In-The-Wall” gang. And after all his travels, he learns a family secret that no one knew about for decades. "His children's argument over the origins of a pocket knife prompts and incredible story from Will Long's own youth. It all began with a train ride out west and fantasies over Butch Cassidy and the Sundance Kid. Suddenly Will finds himself in 1900 with his train being robbed by the notorious gang. When he joins the gang the real adventure begins. Along the way Will is confronted with the harsh realities of life as a criminal and stumbles upon an old family secret. Outlaw Heroes is a charming, fun, and exciting adventure story. Though it's aimed at young adults, I really enjoyed it as will other adults. The story is a well written quick read that keeps the reader's attention throughout. I thoroughly enjoyed this book and highly recommend it for all ages of reader." - Brian Jackson, Author of First Son and other novels. "This delightful novella retells the story of Butch Cassidy and the Sundance Kid, up close and personal. Seeing everything through the eyes of 12-year-old Will, who participates in a train robbery and the Winnemucca Bank heist, and the getaway thereafter, guarantees a lot of action, with hard riding, plenty of shooting, and adventure. But the real strength of the story lies in the evolving relationships between the Sundance Kid and young Will. Will learns being an outlaw is no walk in the park, and at times you might not feel like a hero. The characters are fully fleshed out. This is high class entertainment for adults and young adults alike. I highly recommend it." 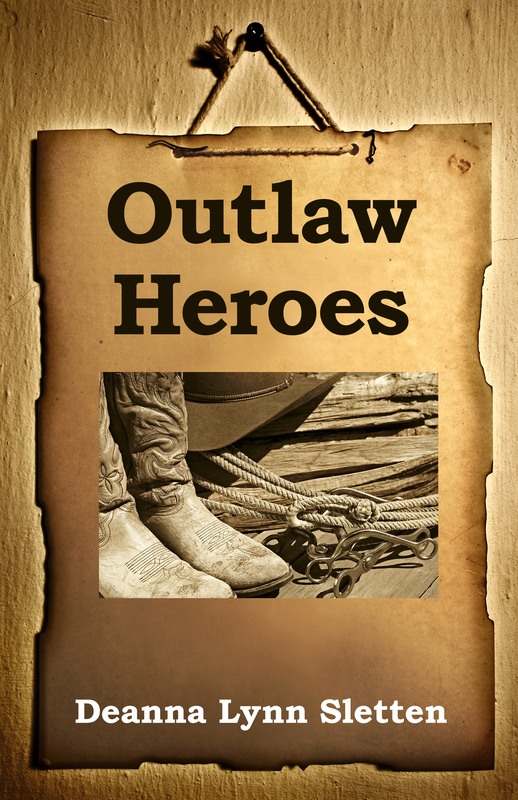 "In Outlaw Heroes, we are introduced to twelve-year-old Will Long, who considers himself launched on the adventure of a lifetime when he is swept back in time to join in with Butch Cassidy and the Sundance Kid. But when a bank robbery goes wrong, Will realizes that the outlaw life isn't nearly so exciting and glamorous as he had thought it was. Written for young readers ages 10 and older, Outlaw Heroes is a throughly entertaining read from first page to last, and would make a fine addition to school and community library collections. " "What an adventure! The story follows Will Long as he goes back in time to dive into action with outlaws. The Wild West returns and the action is fun to follow. Nice clean, fun adventure that even adults would enjoy. The characters come to life and some good lessons are taught. The ending is done really well. Overall, I really enjoyed this book."